and destinies, a language that speaks to all cultures and all shades of opinion. passions, using body language and creating unexpected assemblages. Auguste Rodin. “The Thinker”, 1880–81. Bronze; 182.9 cm x 98.4 cm x 142.2 cm. The Cleveland Museum of Art, Gift of Ralph King, 1917.42. 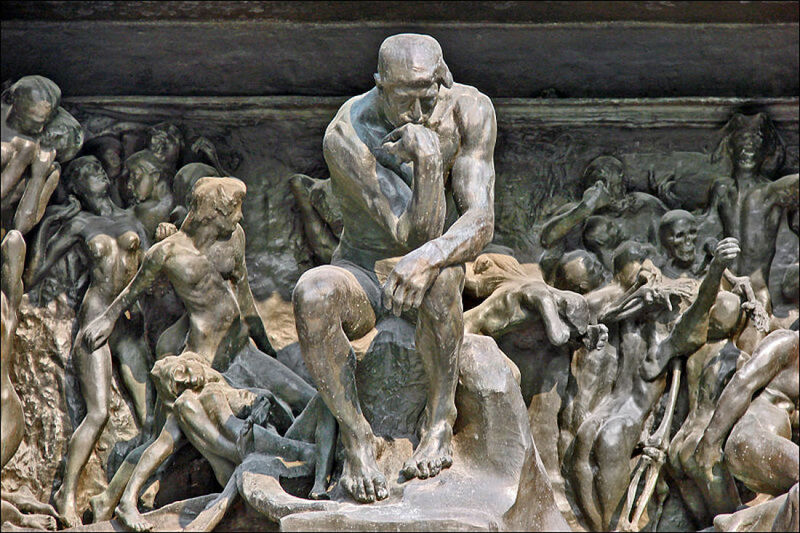 The Thinker was first developed as part of Rodin’s “The Gates of Hell”, a sculptured doorway for a proposed museum of decorative arts in Paris. Intended to be part of a relief directly above the doors, the rugged figure was originally conceived as a generalized mage of the Italian poet Dante (1265-1321)r.
“The Age of Bronze” attests to Rodin’s early attention not only to accurately portraying anatomy and musculature, but also to conveying complex physical and psychological forces through posture, gesture, and facial expression. 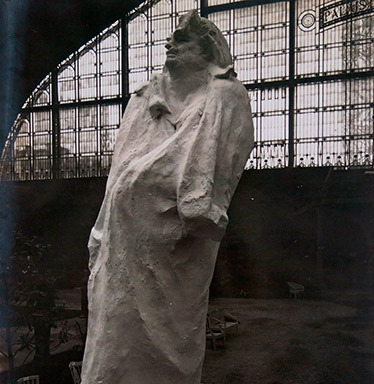 A scandal erupted when the sculpture was exhibited at the Salon of 1877 in Paris: critics accused Rodin of casting the sculpture from a live model. The controversy was resolved only after an official inquiry determined that the charges were false. Bronze; 182.2 x 66.3 x 47 cm. In 1884 Rodin won a competition for a monument for Calais (a city on the northeastern coast of France) that would commemorate an event that took place in 1347, during the Hundred Years’ War. To end a devastating siege of their city, six townspeople offered themselves to the English as hostages. 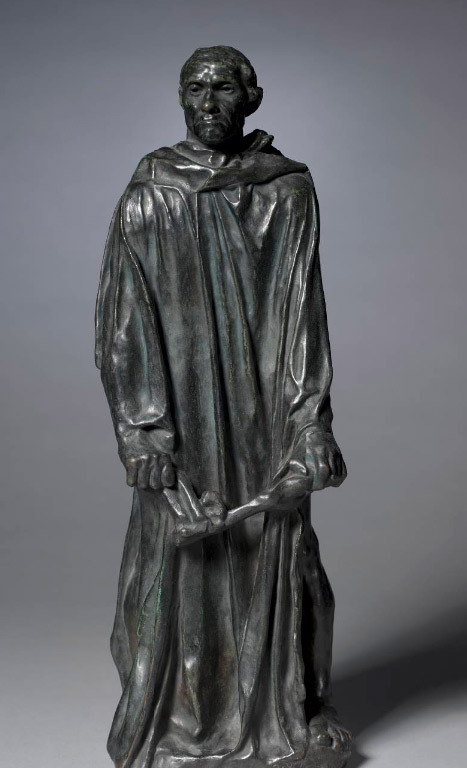 One of the over life-size figures incorporated into Rodin’s composition, known as the Burghers of Calais, was the figure of “Jean d’Aire”, of which this is a reduced cast. 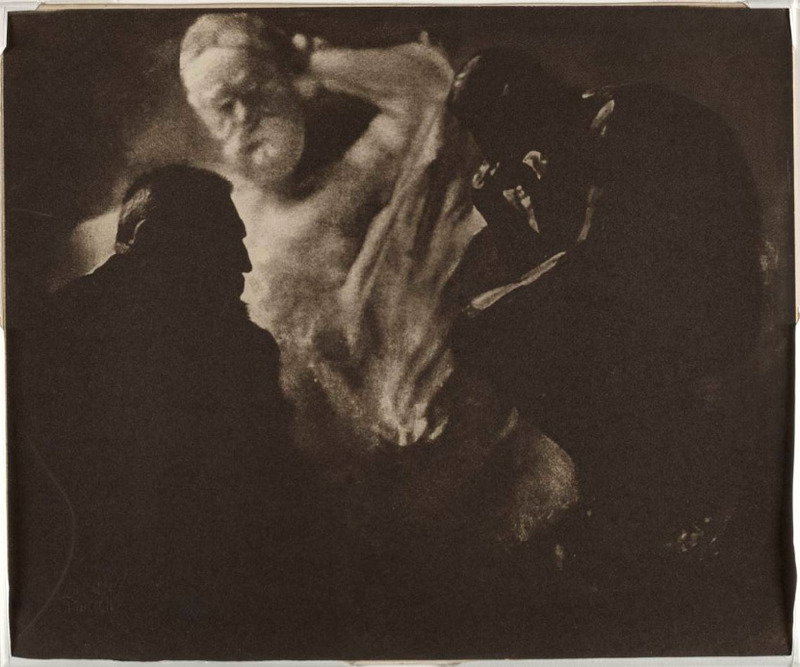 “The Burghers of Calais “ in 1884, perhaps his most successful public monument and recipient of considerable critical acclaim when first exhibited at the Galerie “Georges Petit” in Paris in 1889. 83.5 cm x 47 cm x 55.2 cm. The Cleveland Museum of Art, The Norweb Collection, 1920.120. Other public commissions followed, including monuments to the artists Jules Bastien-Lepage and Claude Lorrain, and the writers Victor Hugo and Honoré de Balzac. Unlike most of Rodin’s portraits, the bust of “Victor Hugo” (1802-1885) was made from memory because the famous French writer refused to sit for the artist. Among Hugo’s best-known novels are “The Hunchback of Notre Dame” (1831) and “Les Misérables” (1862). This bust of “Honoré de Balzac” (1799-1850) is one of Rodin’s many attempts to re-create the great French novelist’s appearance and personality. Bronze; 52.7 cm x 39.3 cm x 32.3 cm. 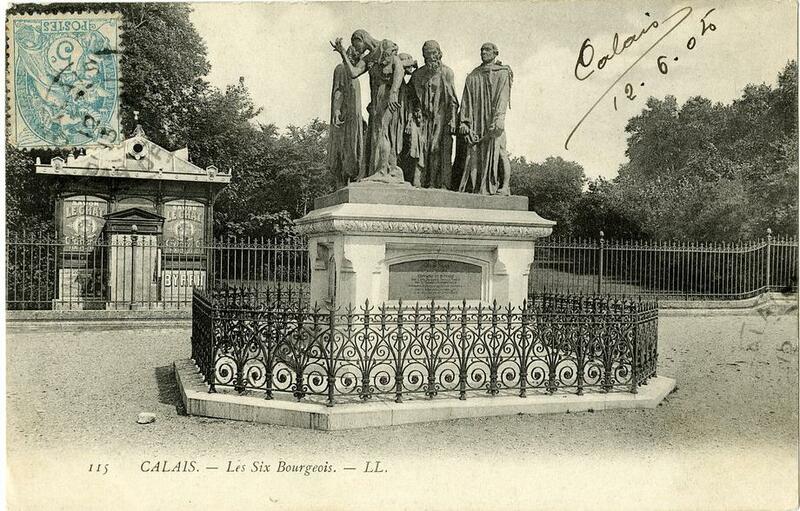 In 1891 the “Société des Gens de Lettres” commissioned the monument to Balzac with the intention of installing it in the alais-Royal. 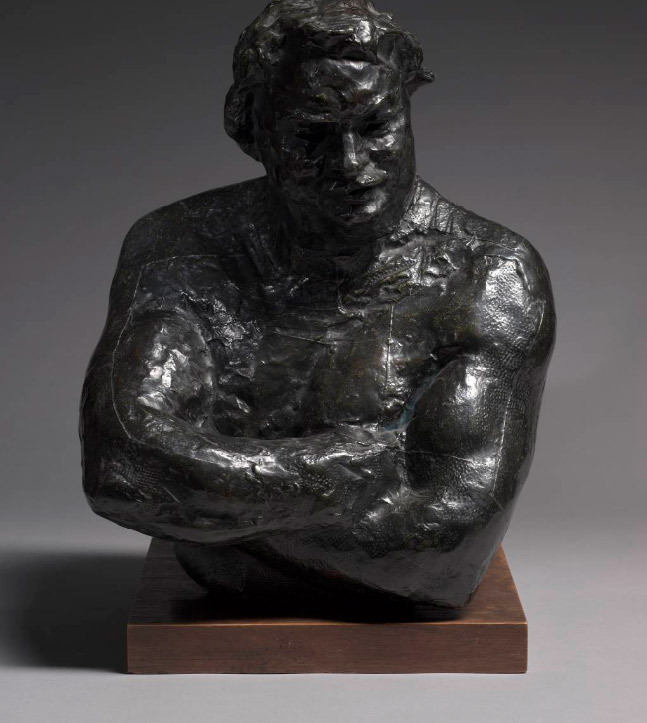 Rodin promised to deliver a bronze figure within eighteen months, but became so immersed in Balzac’s life and works that the project stretched on for seven years, as Rodin strove to convey the essence of the author’s genius through powerful symbolic form. When the final version was exhibited in 1898 at the Salon de la Société Nationale des Beaux-Arts, it drew an overwhelmingly negative response. The press ridiculed Rodin’s interpretation, claiming the figure no longer resembled the writer. In his later years, Rodin created a number of marble sculptures. Though they were probably executed largely by assistants, Rodin was himself a competent stone carver and very much aware of the material special requirements. In works such as “The Fall of the Angels” he exploited the delicate, translucent qualities of marble and created a contrast between the highly polished flesh areas and the masses of rough, unfinished stone. 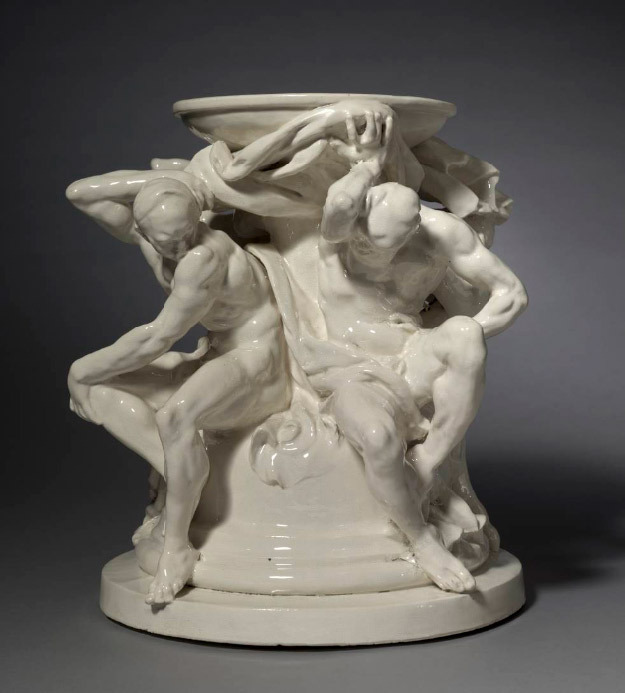 Although inscribed with the name of the sculptor “Carrier-Belleuse” and associated with one of his drawings that shows a large, globular vase supported on a stand with seated male figures around its perimeter, it has long been accepted that in fact the figures themselves were modeled not by Carrier-Belleuse but by an assistant in his studio, the young Auguste Rodin. 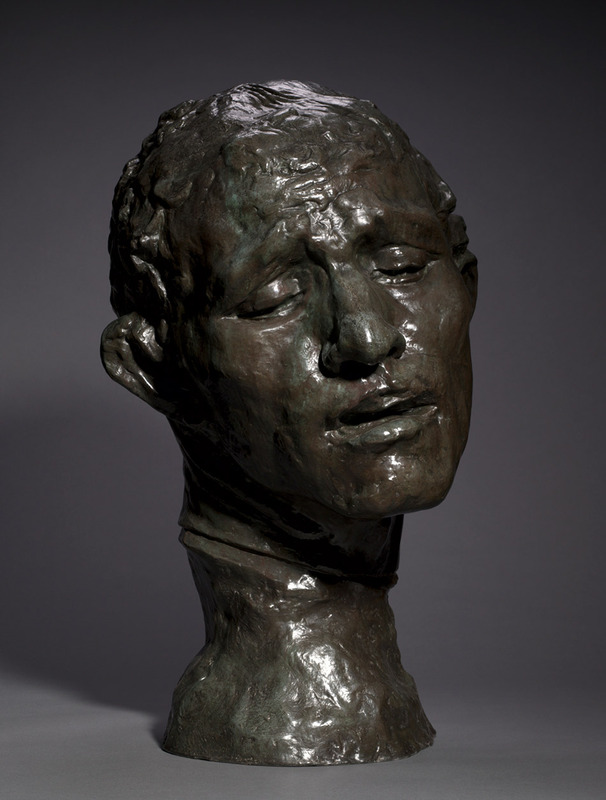 It has been further suggested that this work was competed very shorly after Rodin returned from a trip to Italy. 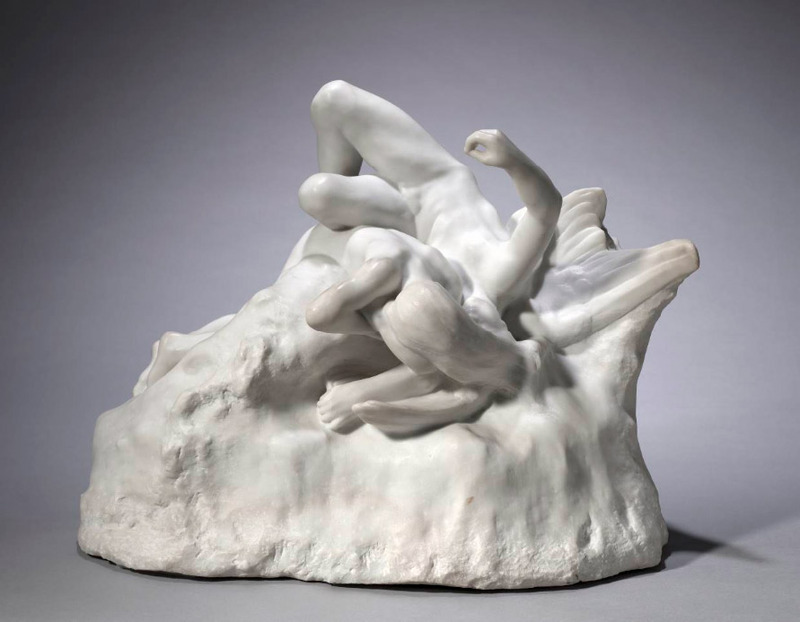 We know from his writings that Rodin was profoundly moved by the works of Michelangelo that he saw in Florence and Rome, and the expressive modeling of the figures on this base seem certainly to have been inspired by Michelangelo’s design of flanking figures from his decoration of the ceiling of the Sistine Chapel in Rome. The emotional energy of these figures became a significant characteristic of Rodin’s mature sculptural style and finds one of its earliest expressions in the modeling of these Titans. 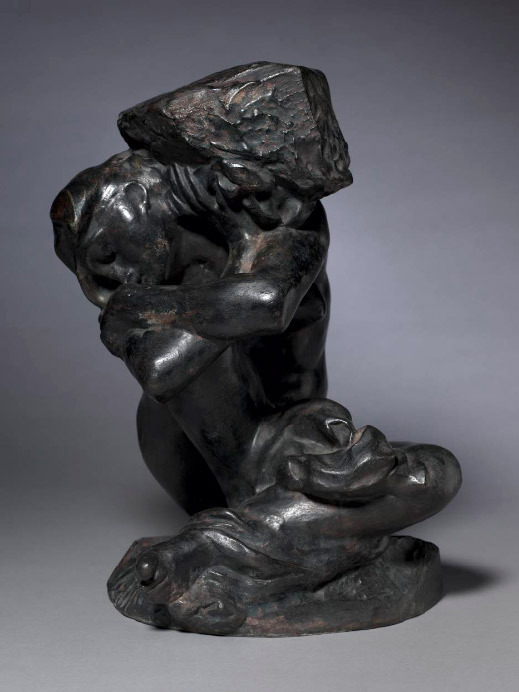 Among the elements from Rodin’s greatest sculptural undertaking,“The Gates of Hell”, was the figure of a woman bent under the weight of a stone. As an independent work, she has been entitled Caryatid, but she may have originally been called Sorrow. 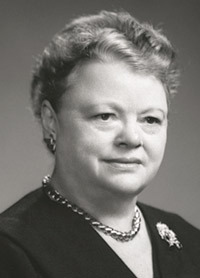 and Frances King Schafer, 1946.352. 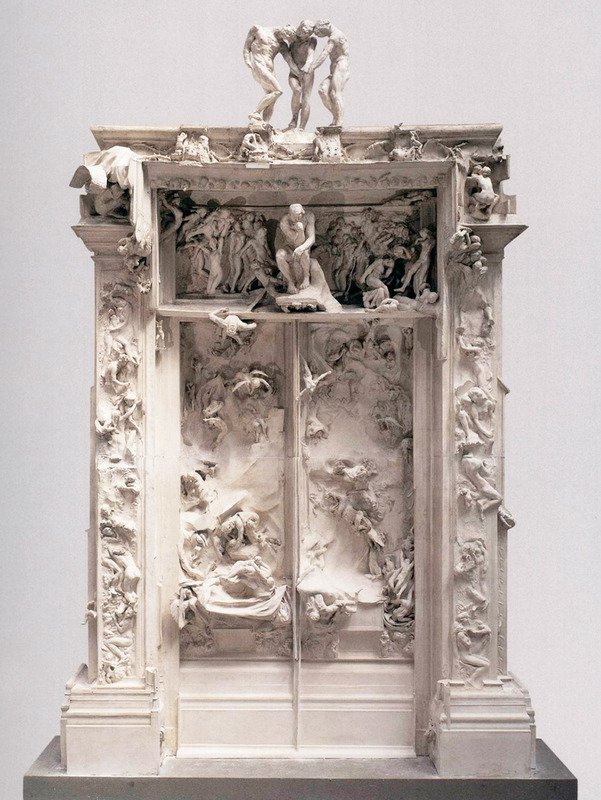 In 1880 Rodin received a commission for a sculptured portal known later as “The Gates of Hell” for a proposed museum of decorative arts in Paris. He conceived the idea of freely interpreted scenes from The Inferno, Part I of “The Divine Comedy”, an epic poem by the Italian poet Dante (1265-1321). The composition provided Rodin with a vast repertory of forms and images, many of which he developed as independent works. Left unfinished at Rodin’s death in 1917, “The Gates of Hell” was cast in bronze during the late 1920s. It included isolated figures, groups, and episodes with which the artist had experimented for more than 30 years. 1880–88. Auguste Rodin. Plaster; 635 cm x 400 cm x 94 cm. Musée d’Orsay, Paris, inv. DO 1986 4, S 2450. © RMN-Grand Palais / Art Resource, NY. On 1877, Undersecretary of Fine Arts Edmond Turquet, subsequently commissioned from him a set of monumental bronze doors for a planned museum of decorative arts. Although the museum was never built, the commission led to the production of one of the artist’s most important works: a full-scale plaster of “The Gates of Hell”. This monumental portal covered in sculptural reliefs provided Rodin with models for countless independent sculptures produced over the remaining years of his life. 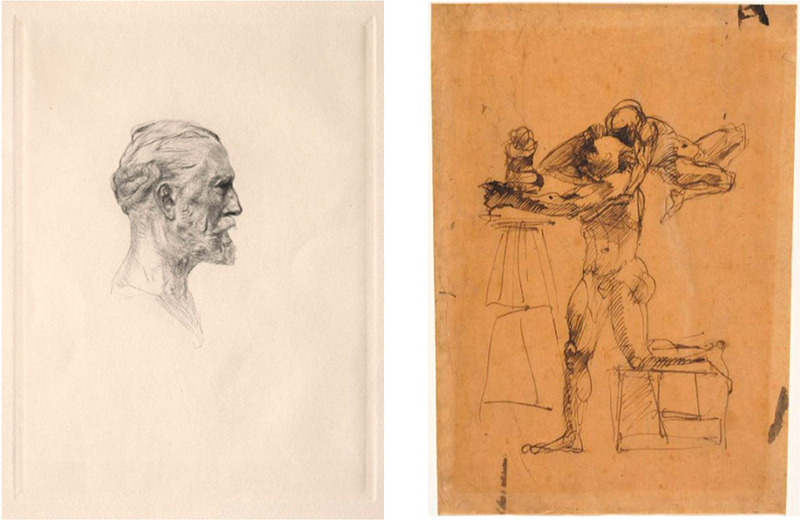 RIGHT: “The Genius of the Sculptor”, c. 1880-1883, Auguste Rodin, pen and brown ink, Sheet: 26.3 cm x 18.9 cm (10 5/16 in x 7 7/16 in). Bequest of Muriel Butkin 2008.404. “The Genius of the Sculptor” treats an essential, self-referential theme in the art and life of Auguste Rodin. During his lifetime and afterward, he was viewed as the modern equivalent to the Renaissance genius of sculpture, Michelangelo (1475-1564). 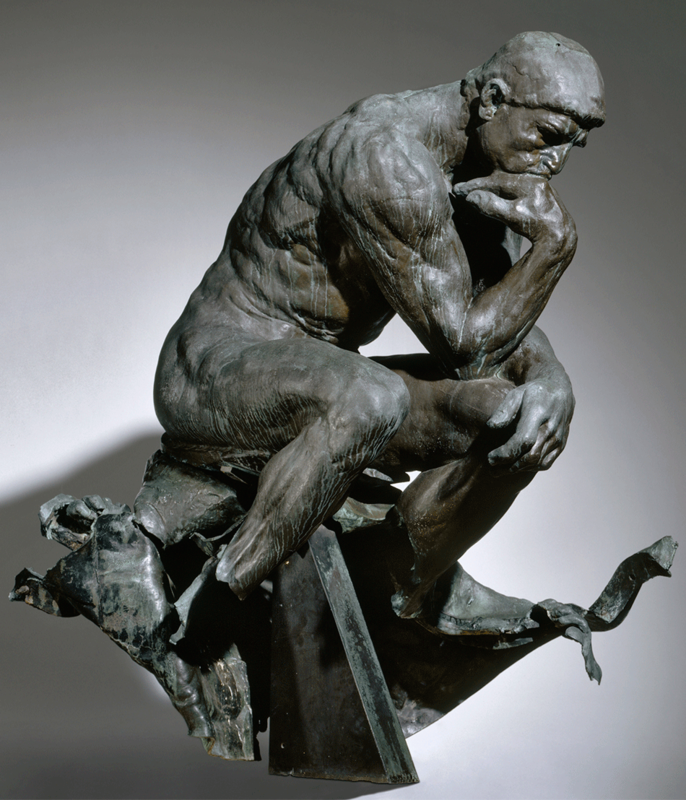 Moreover, Rodin repeatedly explored the theme of male creative genius in major works, such as the famous “Thinker”, a cast of which is owned by the museum. In this drawing, Rodin depicted the artist in active thought with his hand on his head, accompanied by a wingless “genius” floating up from him. He derived this symbol of inner creative energy from the traditional subject of the winged muse descending to inspire. 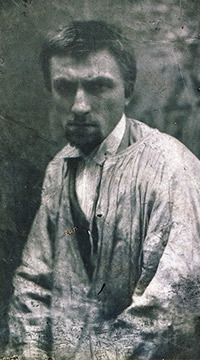 Born in 1840 into a working-class family living in the district of Paris known as the Mouffetard, François Auguste René Rodin was the second child and only son of Marie Cheffer and Jean-Baptiste Rodin, a clerk at a local police station. 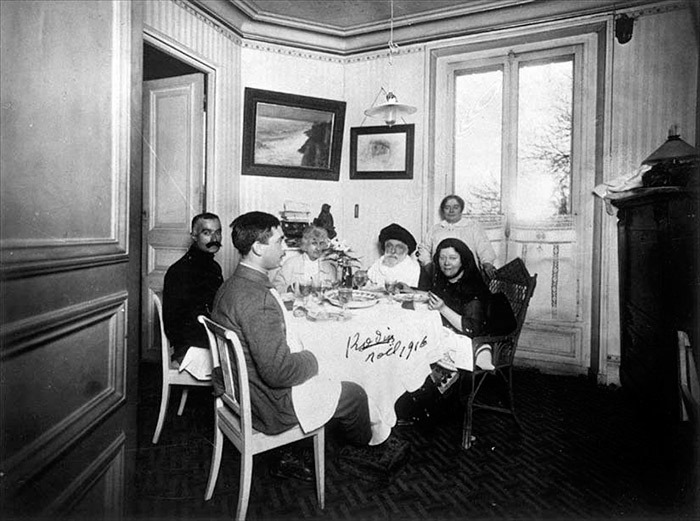 At age fourteen, Rodin persuaded his father to allow him to attend the École Impériale Spéciale de Dessin et de Mathématiques, known as the Petite École. He spent four years there learning traditional drawing and sculpting techniques, honing his powers of observation, and developing an ability to draw from memory. 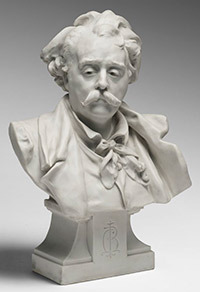 Setting his sights on becoming a sculptor, he entered the Petite École’s sculpture class in 1855 and later received informal instruction in anatomy from Antoine-Louis Barye, best known for his romantic animal subjects. Rodin’s early life was beset by financial difficulties and family tragedy, but it took a turn for the better in 1864 when he met “Rose Beuret” (1844–1917), a frequent muse who became his lifelong companion, wife, and mother to his son in 1866. From 1864 to 1870, Rodin supported himself by working as the assistant to sculptor Albert-Ernest Carrier-Belleuse (1824–1887). Although active in the studio of one of the most fashionable and productive sculptors of the Second Empire, Rodin continued to experience financial difficulties. His work outside Carrier-Belleuse’s studio was poorly received, and his Salon submissions were repeatedly rejected. Perhaps the greatest benefit of working with Carrier-Belleuse was learning to run a large studio and to manage multiple complex commissions. At the outbreak of the Franco-Prussian War in 1870, Rodin was drafted into a regiment of the Garde Nationale but was soon discharged for nearsightedness. He subsequently rejoined Carrier-Belleuse, who had temporarily moved his studio to Brussels to work on a major commission to produce monumental sculptures for the city’s new stock exchange. After a fallingout with Carrier-Belleuse in 1872, Rodin continued to work on the project with a new partner, Belgian sculptor Antoine Joseph van Rasbourgh. Together they executed the allegorical groups of Africa and Asia for the stock exchange. In 1875 Rodin began work on his breakthrough sculpture, “The Age of Bronze”, his extraordinary career as an artist begins with this work of art. By the turn of the century, Rodin had developed a reputation that extended far beyond France. His works appeared in exhibitions across Europe and America, and museums began aggressively collecting his works. In 1912 the Metropolitan Museum of Art in New York opened a gallery devoted solely to Rodin. 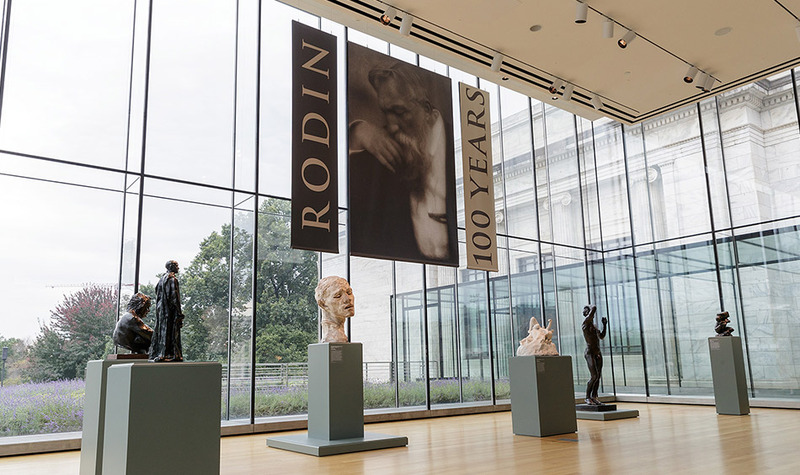 Within a year of its opening in 1916, the Cleveland Museum of Art owned eight Rodin sculptures, including several casts of his most celebrated works. 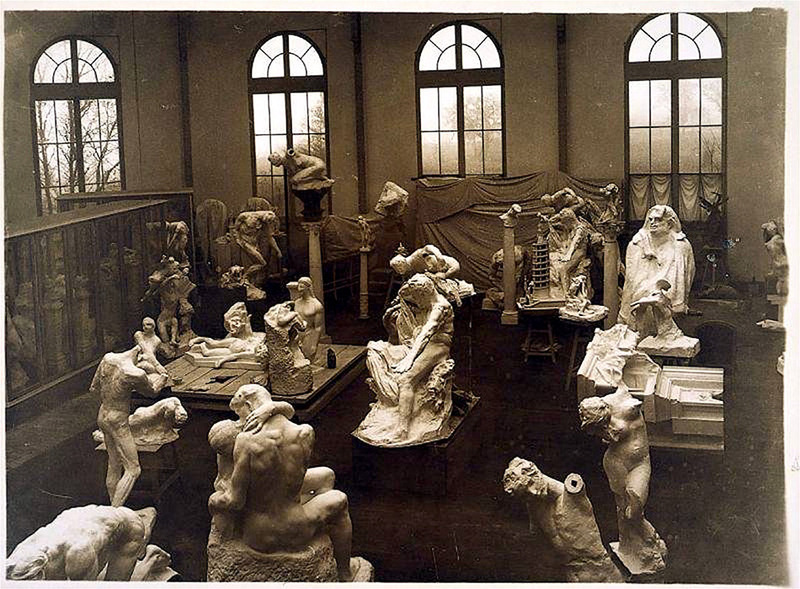 The Rodin Museum in Philadelphia, the only American museum devoted entirely to the artist, opened in 1929. 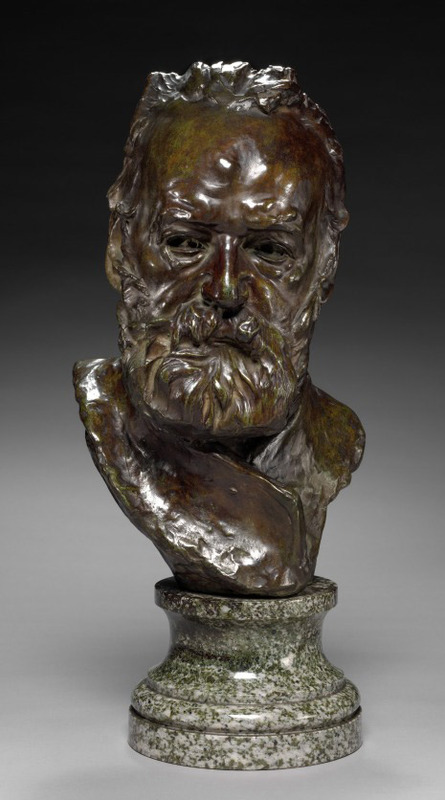 After suffering a severe stroke in 1916, Rodin bequeathed his collection to the French state. This momentous gift included his own sculptures and working models (along with their casting rights), paintings, drawings, photographs, and his private collection of antique sculpture, medieval, Indian, and Asian art. 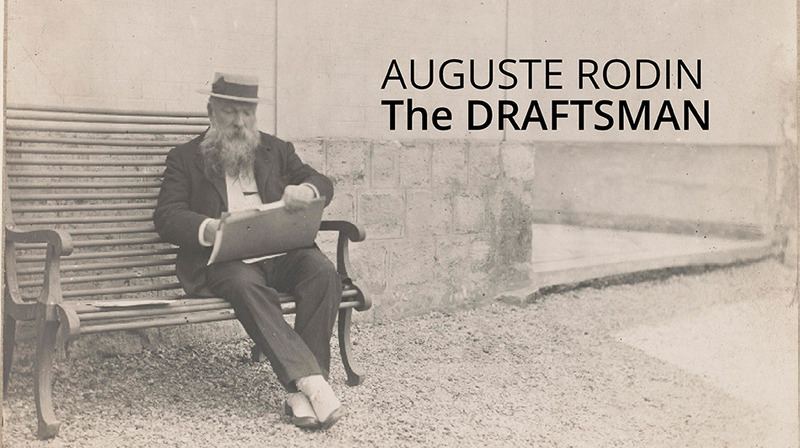 In return, Rodin asked the government to establish a museum dedicated to his art. 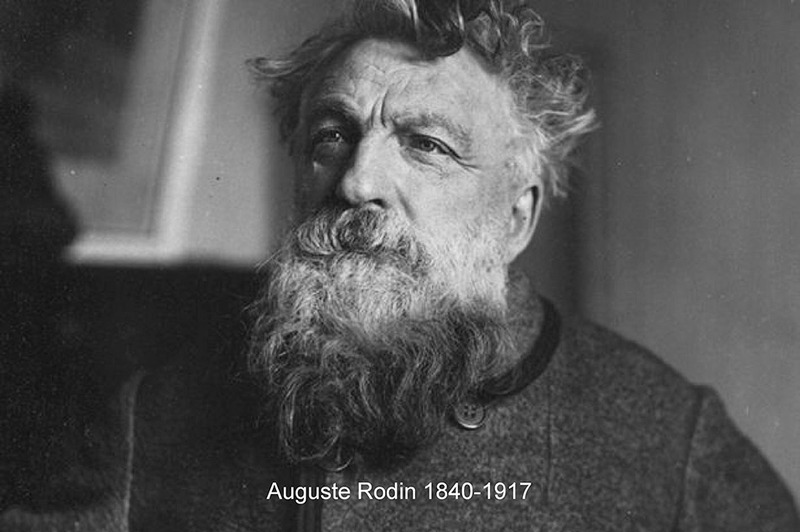 Unfortunately, Rodin succumbed to illness on November 17, 1917, two years before the Musée Rodin opened in the eighteenth-century Hôtel Biron, which had been the sculptor’s studio during his later years. He is buried on 24 November beside Rose in Meudon. A large-scale cast of “The Thinker” is erected on their grave, a fitting sentinel for an artist who changed the course of modern sculpture. 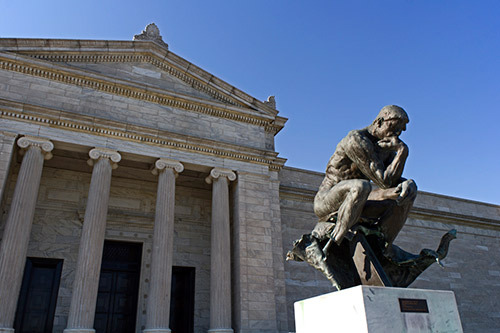 The Cleveland Museum of Art possesses one of the most impressive collections of works by Auguste Rodin on this side of the Atlantic. Thanks to the generosity of several collectors and benefactors, eight of his sculptures entered the collection within a year of the museum’s opening in June 1916. By establishing contact with the artist during his lifetime, these civicminded donors played a key role in laying the foundation for the museum’s distinguished Rodin collection. 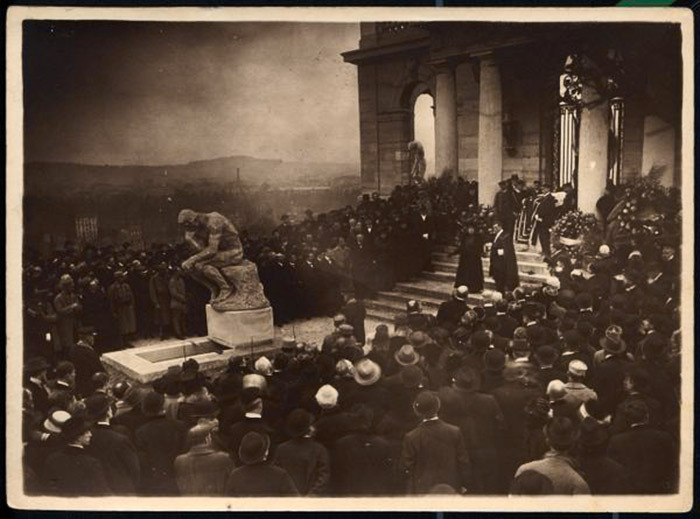 The first Rodin sculpture to join the collection was the monumental Thinker installed on the steps to the south entrance in 1917, barely a year after the museum opened. Mr. and Mrs. Ralph King of Cleveland acquired the work from Rodin in 1916 and donated it to the museum the following year, along with an exceptionally fine cast of the artist’s groundbreaking “Age of Bronze”. 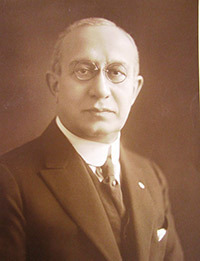 A prominent Cleveland businessman, King (1855–1926) was president of Realty Investment Company and the largest holder of downtown Cleveland real estate at the turn of the century. He was also instrumental in founding the Print Club of Cleveland (established 1919) and served as the museum’s first curator of prints and drawings until 1921. Overtime, King and his wife, Fannie, would donate nearly nine hundred objects to the museum. Image of Mr Ralph King: E03690.jpg: Ralph King, undated, Negative Number 25473, Cleveland Museum of Art Archives. 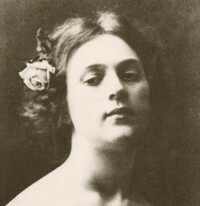 The celebrated modern dancer “Loïe Fuller” (1862–1928) also played an important role in the collection’s early history. 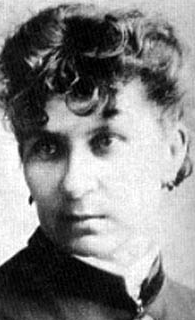 Born in Chicago, Fuller developed close relationships with prominent French artists while performing in Paris during the 1890s. After she withdrew from dancing due to advancing age, Fuller served as the unofficial agent for several French sculptors, including Rodin. She came to Cleveland in the summer of 1917 to raise money for the Red Cross and to deliver a lecture about Rodin at the museum. That same year she donated several of his sculptures to the museum, including the large plaster “Heroic Head of Pierre de Wissant”. It was perhaps due to her influence that Rodin donated his partial-figure sculpture Fragment of a Leg to the museum. (1885–1984), who served as the museum’s first female president of the board of trustees, eginning in 1962, presented her first gift to the museum in 1917, a bronze cast of Rodin’s “Heroic Head of Pierre de Wissant”. Image: E07946.jpg: Mrs. R. Henry Norweb, 1965, Negative Number 38207, Copyright Halle-Spiegel Portrait Studio. 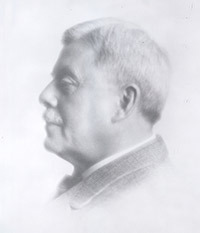 cofounder of the Halle Brothers department store and director of the “Mutual Building & Loan Company”, was known for his generosity to Cleveland philanthropic enterprises. Salmon (1866–1949) and his wife, Carrie Moss Halle, collected art extensively. Together with Ralph King, Salmon was instrumental in founding the Print Club and building the museum’s print collection. 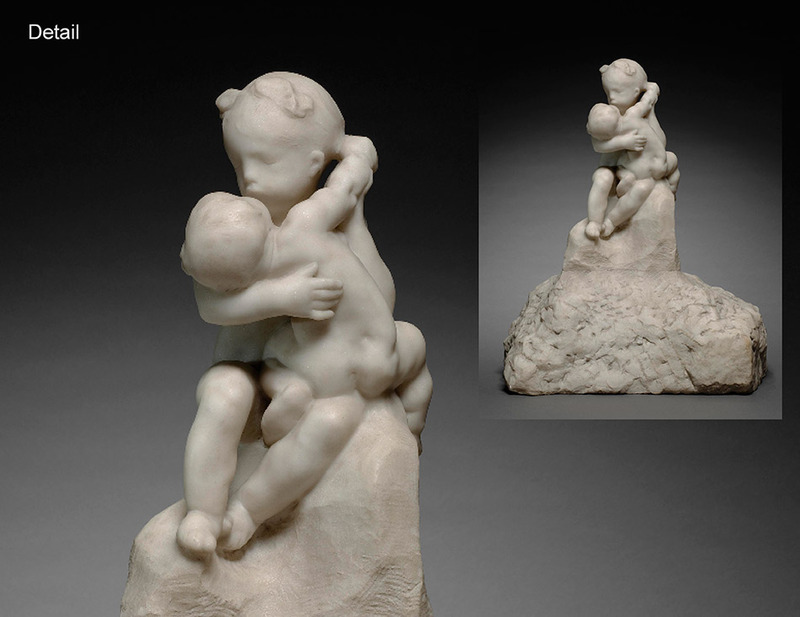 He made his first gift to the museum in 1917, “Embracing Children”, a marble sculpture purchased from Rodin. Carrie Halle later donated another Rodin marble, “The Fall of the Angels”, in memory of her husband. These acts of civic generosity were just the beginning. Today, the museum’s Rodin collection includes over forty works spanning the artist’s career, many related to his most celebrated projects, including “The Gates of Hell” and “The Burghers of Calais”. The explosion knocked the sculpture off its pedestal, destroying the lower legs of the monumental sculpture on view at the Cleveland Museum of Art’s south entrance since 1917. Director Sherman Lee initially considered repairing the sculpture but changed his mind after consulting with Rodin scholars and the Musée Rodin in Paris. Careful examination revealed that the damage was more extensive than it first appeared. There were abrasions to the head and shoulders from the fall, and much of the intact form was warped, leading the museum to conclude that repairing the sculpture would transform it from an original work of art into a reproduction. Lee summarized the consensus of opinion among scholars, conservators, and curators: “We wish to maintain the figure in its present damaged state as a historical document and in accordance with what we believe Rodin’s thinking would have been”. 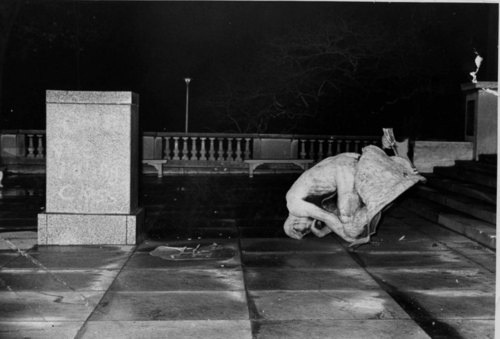 . . photo: The Thinker after the bombing on March 24, 1970. The Cleveland Press Collection, Michael Schwartz Library, Cleveland State University.